The 1st day of exploring the UK was absolutely superb all around. Superb and eye opening observations. Superb and in-depth discussions. Superb weather and travel conditions. 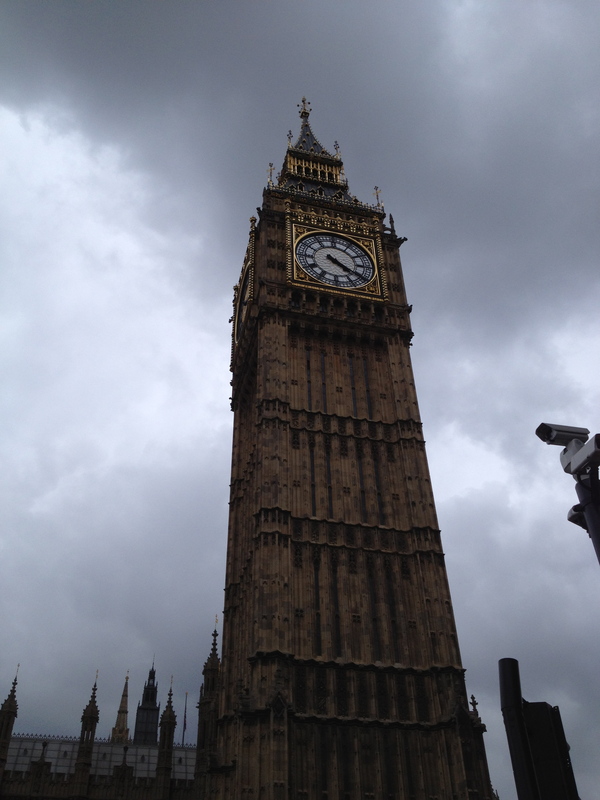 Many, many, many thanks to the man I consider the UK/ USA grass field ambassador…. Mr. Simon Gumbrill. Simon single-handedly is bring 2 very different worlds of groundsmanship together. As always, his hospitality, graciousness, and ideas are 1st rate. Thank you to him for taking the time to take me around the country! One of the exploration and idea collection points of this trip focuses around stability and reinforcement of rootzones for heavy use. 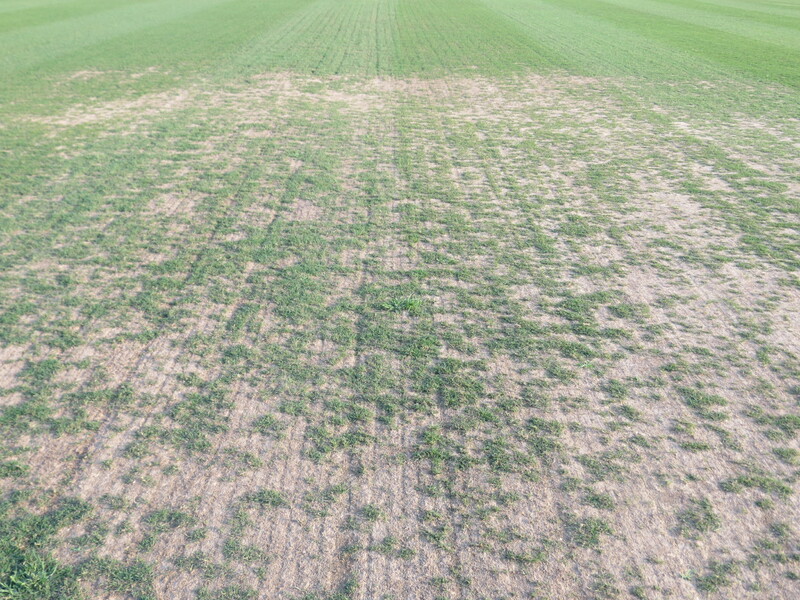 The UK climate brings large amounts of rain and cold winters, yet most high level stadiums/ field in the UK never fight divoting and sand stability issues like American fields. Why?? With that in mind, our 1st stop on Monday was Wembley Stadium. 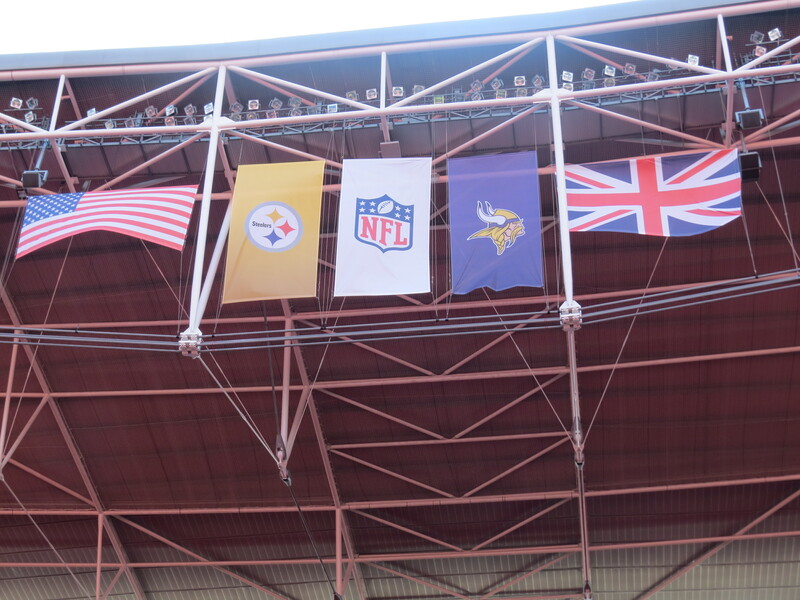 Wembley hosted the Pittsburgh Steelers & Minnesota Vikings Sunday night, just 12 hours prior to our visit. Many, many thanks to Mr. Anthony Stones and his staff for hosting us the morning after such an event. Absolutely 1st class to take the time to see us, talk with us, and to be so open with us. And the Wembley pitch was fantastic as well. Reinforced w/ Desso, American football had barely nicked the field. But the NFL game is only part of the story. Wembley had perviously hosted Roger Waters “The Wall” concert 2 weeks prior on Sat. Sept. 14. (Yes, the same “The Wall” concert that toured the US last summer, decimating stadium fields across the country and leading to hundreds of thousands of square feet of sod replacement). Yet even with it 2 weeks before an NFL game, Wembley sodded 0 sq ft following the concert. Even more remarkable is that the field had sustained multiple rugby and soccer matches prior to the NFL and concert following a seeding renovation to repair the field from a month of concerts in June. Absolutely amazing!! 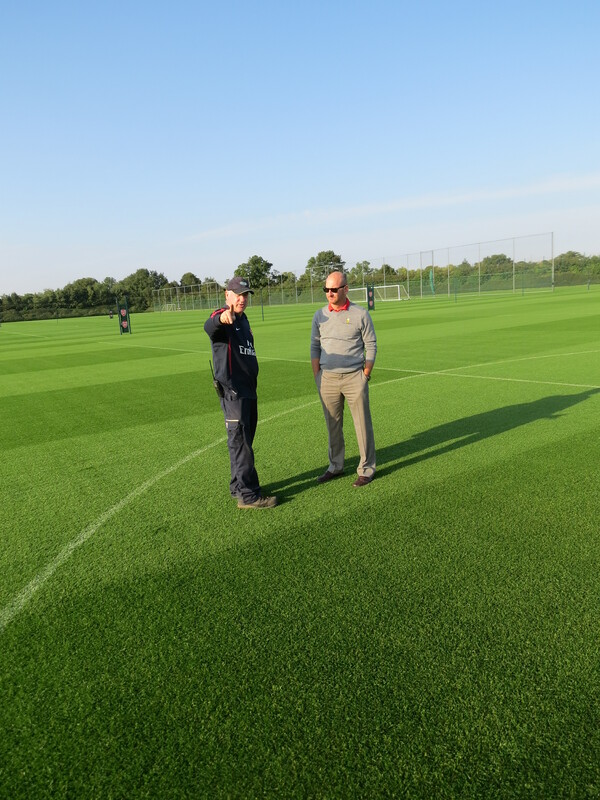 More to come on HOW this was possible in upcoming days…..
Our 2nd stop of Monday was at Arsenal’s Shenley Training Ground to see Mr. Steve Braddock. Mr. Braddock is truly an artist, as the pitches were as strong as ever. Thank you to Steve for taking the time to talk about so many topics and to trade so many different possibilities. With over 10 fields, the training ground is a large facility… but that doesn’t keep Steve and his strong staff from producing amazing results. 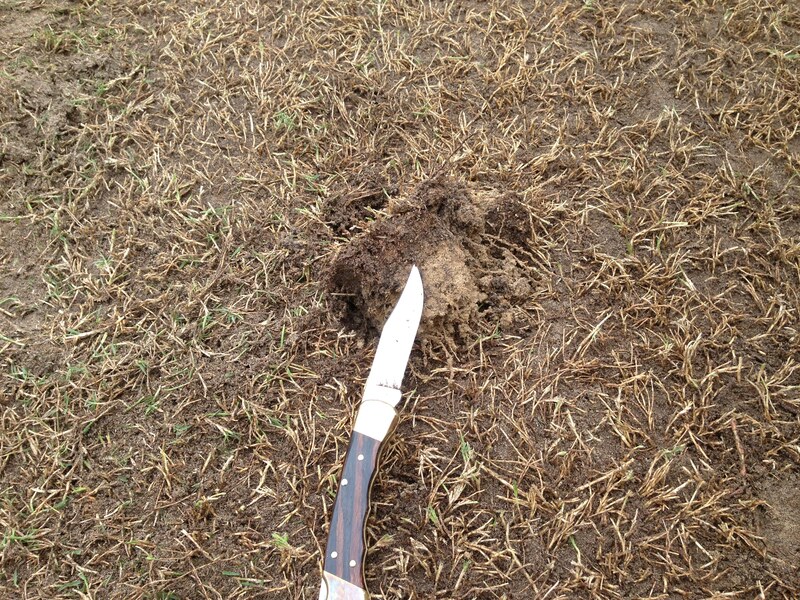 More to come on observations… in particular from seeing 5 more Desso sewed fields. 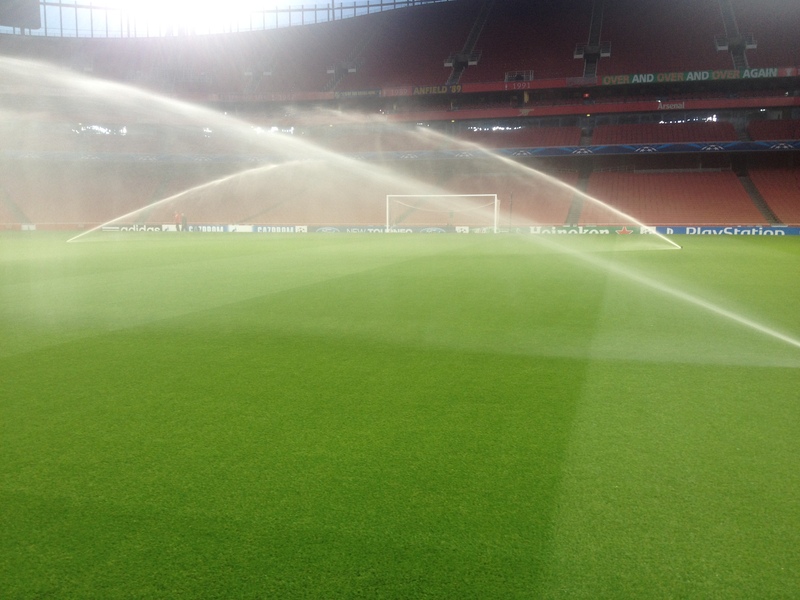 Lastly on Monday, Mr. Paul Ashcroft allowed us to pay him a visit at Emirates Stadium late in the evening to see his masterpiece known as the Emirates Stadium pitch. With Napoli FC training for their Champions League match against Arsenal, their work during a fast paced training session on the Desso pitch highlighted some of the strong points Mr. Ashcroft was kind enough to share with us. Thank You to him for taking the time to see us, even being busy! In observing 12 immaculate fields on my 1st day, even following American football/ nearly 2 months into season training/ immediately follow a hard working training session, I quickly was reminded again how different our thinking and quality is in the USA is compared to the top facilities in the UK. With all the fields being high traffic, 7 of the 12 fields reinforced with Desso, and none ever getting sod work….. the number of additional questions for me to get answered grows. Much, much more on the amazing things seen are to come! Field Maintenance Survey: Have 5 Mins? Happy Wednesday! This morning GrowingGreenGrass has the privilege to assist a friend of the #revolution, Mr. Chase Straw. Mr. Straw is a graduate student at the University of Georgia. He is collecting some field maintenance information as part of his thesis research via an online survey. With the data, Mr. Straw will be able to get a better idea of what the concerns are of managing athletic fields at each level then use this data to brainstorm future research projects and also justify the projects they have currently going on. Absolutely wonderful stuff! Please take a couple of minutes and fill out the survey if you can, and even pass it along to our peers. 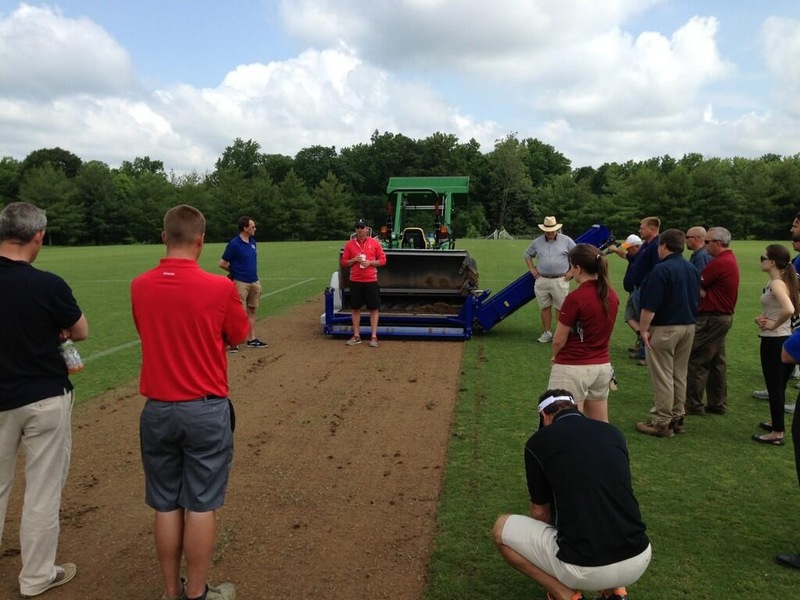 Jerad Minnick discusses turf management during a demo day at Maryland SoccerPlex. Jerad Minnick has never calculated the point of diminishing returns as it relates to the cost of seed at the Maryland SoccerPlex, but he knows he hasn’t come close to reaching it yet. 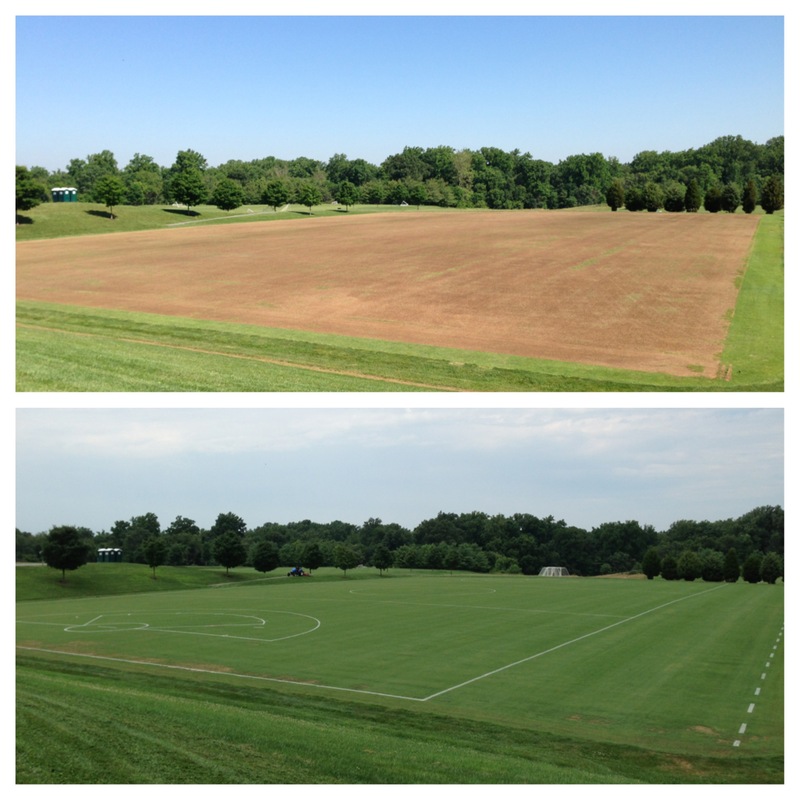 Minnick, head groundskeeper at the 22-field complex in Boyds, Md., since 2009, renovated the facility’s main stadium field last year, with Barenbrug’s Turf Blue Kentucky bluegrass that is enhanced with HGT technology. At $4 per pound, the seed, he says, is worth every penny. 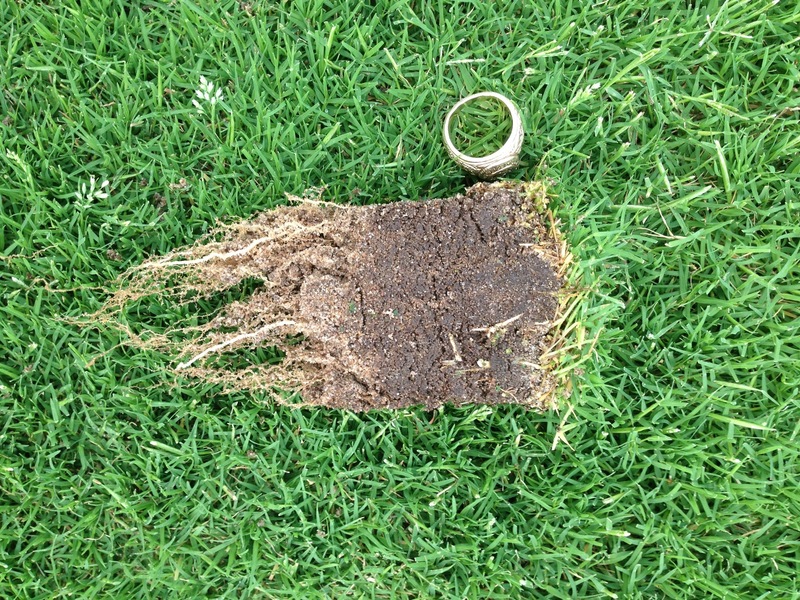 The selection of HGT, which stands for Healthy Grass Technology, along with Jump Start Kentucky bluegrass and a regimen of agronomic practices that he learned overseas, have helped Minnick, 34, produce mid-season playing conditions that he didn’t realize were possible on cool-season turf. 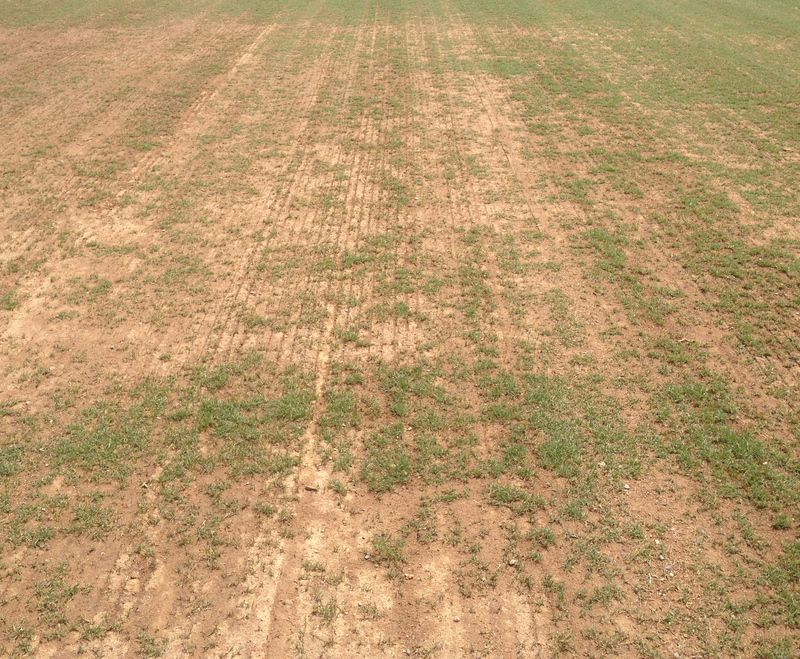 “Grass can take a lot more traffic than we give it credit for,” Minnick said. 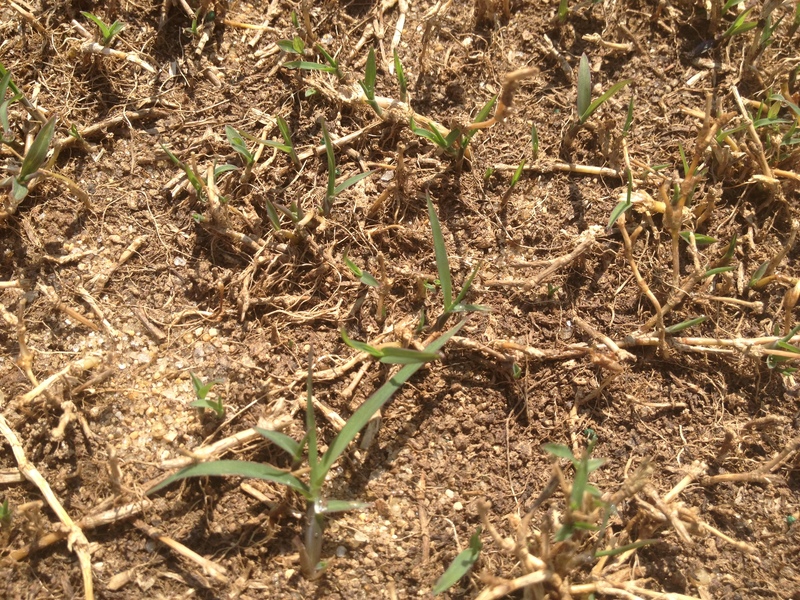 Barenbrug’s HGT (Healthy Grass Technology), which entered the market in 2011, was developed from naturally stress-tolerant plants. Its traits include improved heat and wear tolerance, rapid establishment and quick recovery. 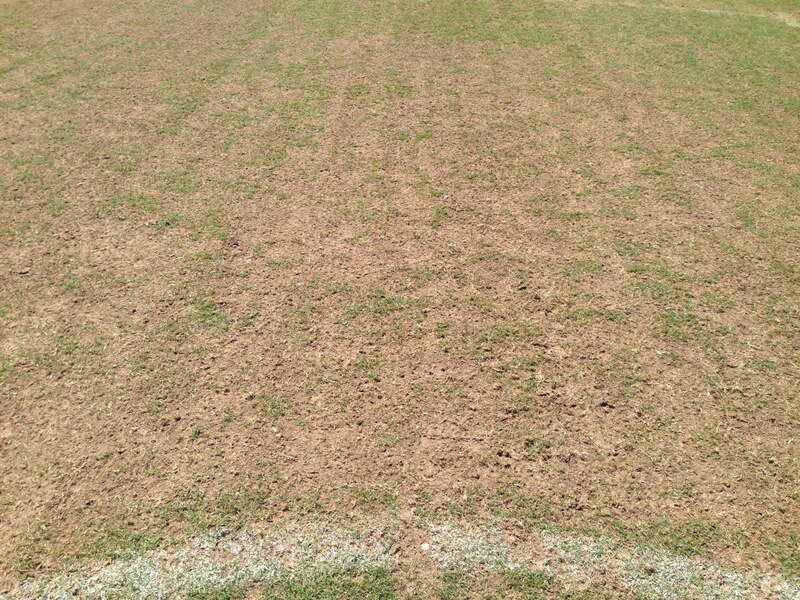 The stadium field at the Maryland SoccerPlex was ready for play 35 days after seeding. 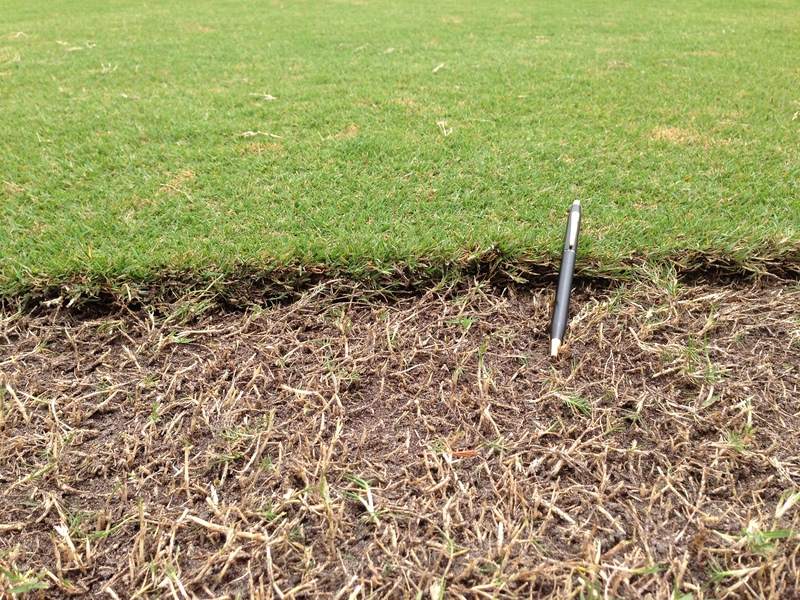 Thanks to a program of aggressive agronomic practices, he’s been able to keep it in like-new condition. Within 60 days of seeding, the complex had hosted several tournaments, including the Atlantic Coast Conference men’s championship that was decided on the stadium field 75 days after seeding. Minnick now uses HGT on the other cool-season fields at the complex as well. Hundreds of games each year are played at the 160-acre complex that includes 10 cool-season turfgrass fields, nine Bermudagrass fields and three that are carpeted with synthetic turf. The complex near Washington, D.C., is open every day except New Year’s, Thanksgiving and Christmas, and keeping the fields ready for play at all times is critical. 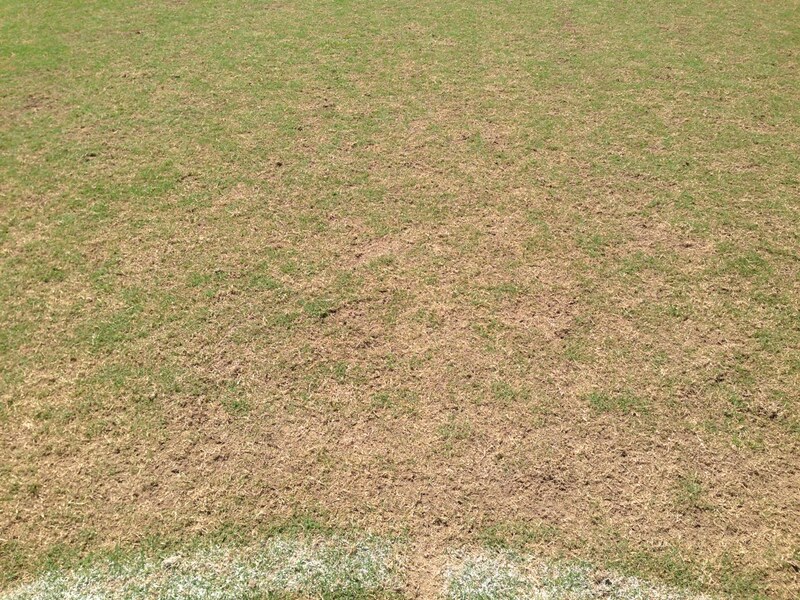 “If it snows in December, January or February, we have to clear it immediately and get it open,” said Minnick, who has managed the fields at the Maryland SoccerPlex since 2009. 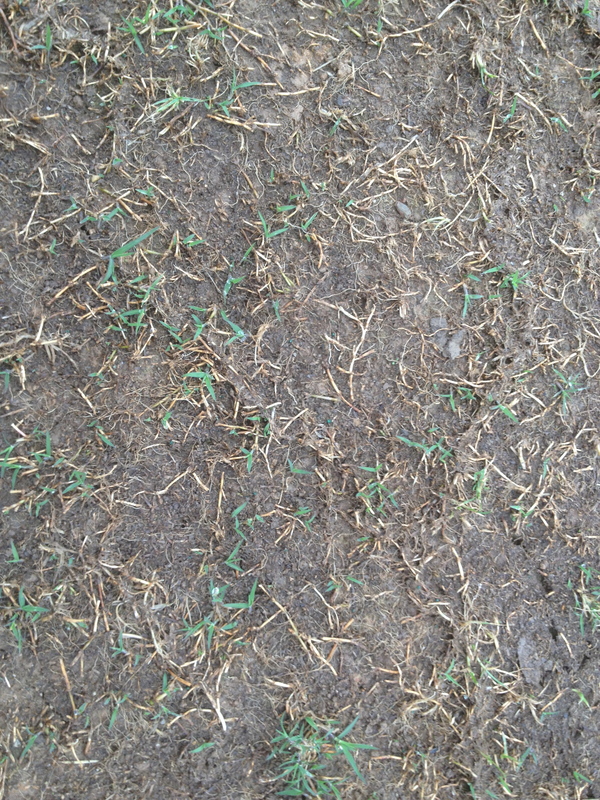 Producing championship conditions is as much about agronomic practices as it is turf selection. Minnick earned a bachelor’s degree in turfgrass science at the University Missouri and was in his last semester of graduate school in 2002 when he accepted a job with the Kansas City Royals. He spent 2007-09 across town prepping with Sporting KC, Kansas City’s Major League Soccer franchise. Since heading the soccer complex, Minnick has visited dozens of European soccer facilities. 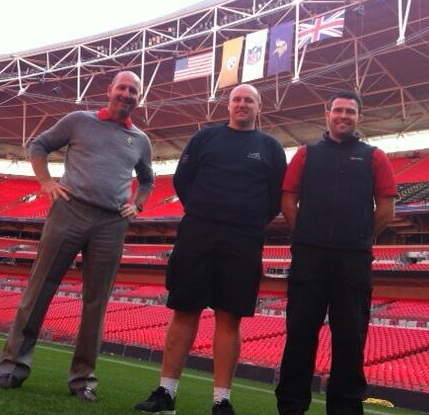 While overseas, he met people like Simon Gumbrill from Campey Turfcare and Barclays Premier League groundskeepers Paul Burgess of Real Madrid and Steve Braddock of Arsenal. Each taught him various things about the European way to manage turf, which includes regular agronomic practices throughout the playing season. 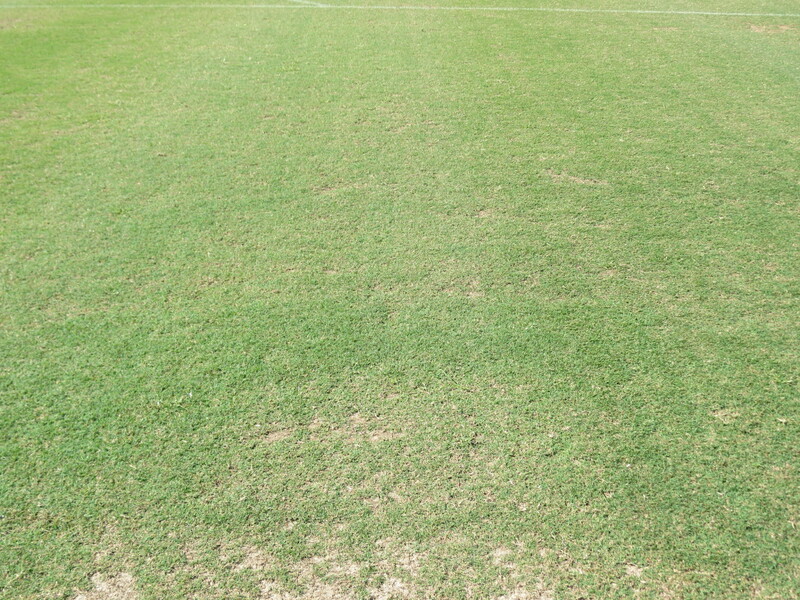 For example, Braddock said he runs a deep tine aerifier over Arsenal’s practice fields on a monthly basis, alternating between depths of 6 inches to 10 to 12 inches throughout the playing season. When the season is over, he scrapes the field clean of its cover using the Imants Koro Field Topmaker in a process called Fraze mowing and establishes a new field for the next season. This process removes all organic matter from the surface and each year results in improved drainage at the surface, Braddock said. 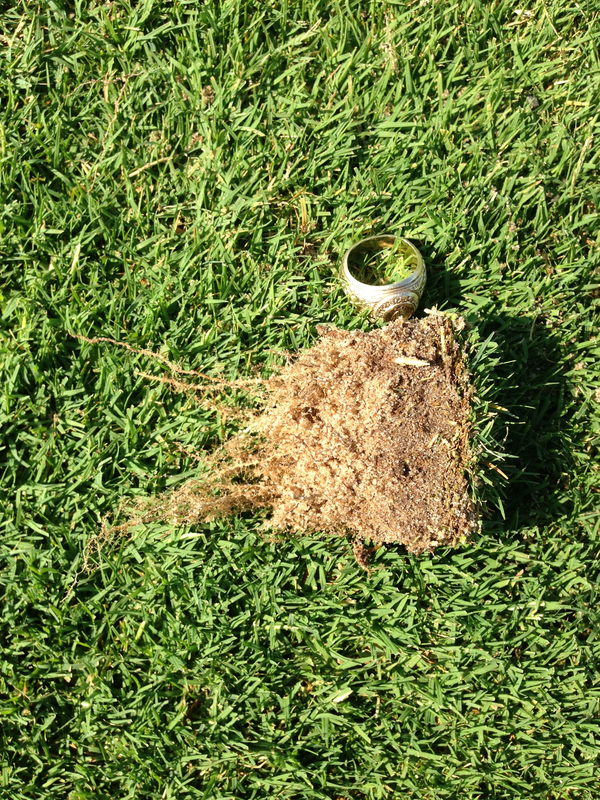 It’s a philosophy that is not taught at U.S. turf schools, but it is something that is widely used by turf managers in other parts of the world. “All my practices have been self taught using what I believe is common sense over the years.” Braddock said. 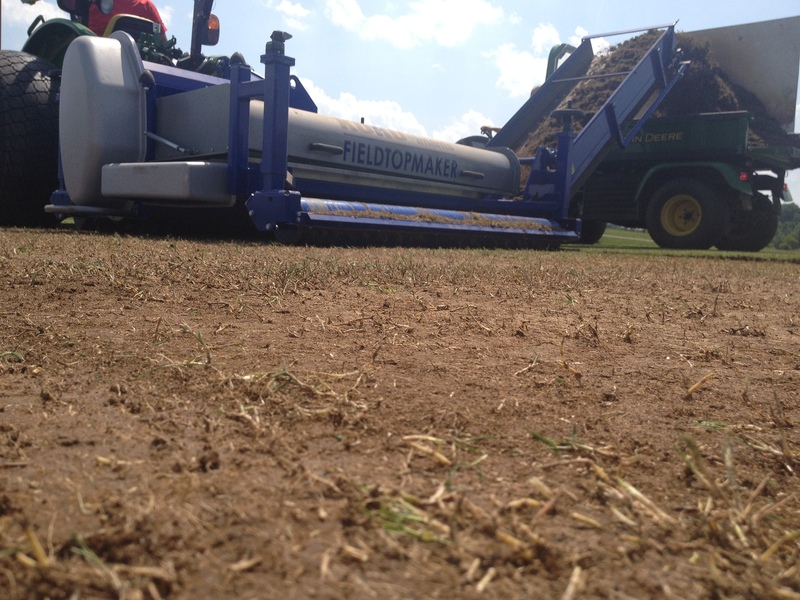 Fraze mowing Bermudagrass at Maryland SoccerPlex. “I didn’t think it was possible either seven or eight years ago,” he said. “The fields we do the most to always look the best. It has come as no surprise to Erik Ervin, Ph.D., who was a professor at Missouri when Minnick was a student there, that his former pupil has adopted such revolutionary tactics. Minnick maintains the stadium field at nine-sixteenths of an inch and the other cool-season surfaces at heights of 1 to 1.75 inches. “I like to manipulate the turf,” he said. “If you add a quarter inch, that’s 25 percent more photosynthetic surface. 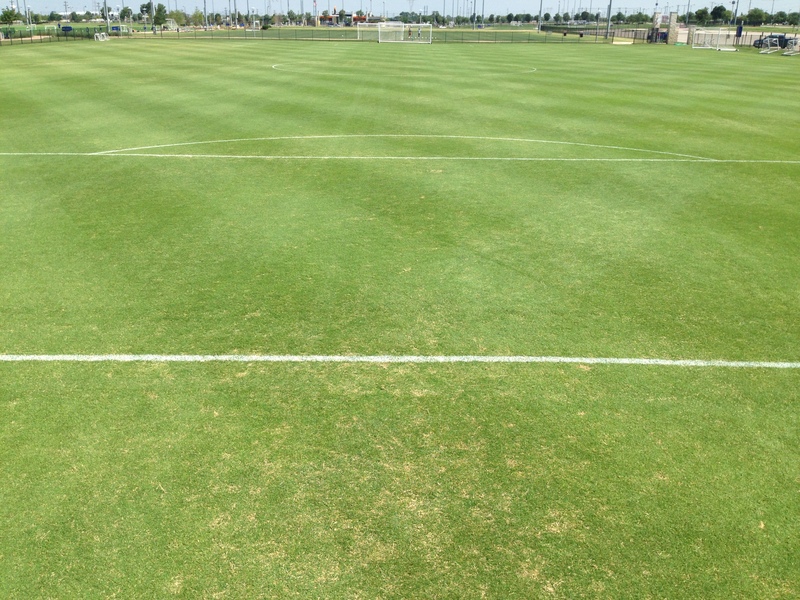 The Bermuda fields at the complex, which include Patriot, are overseeded with a mix of Barenbrug’s SOS and RPR ryegrasses, are maintained at a height of about one-half inch during the summer when they subjected to 40 hours of play per week. Adopting new methods of doing things is nothing new for Minnick. 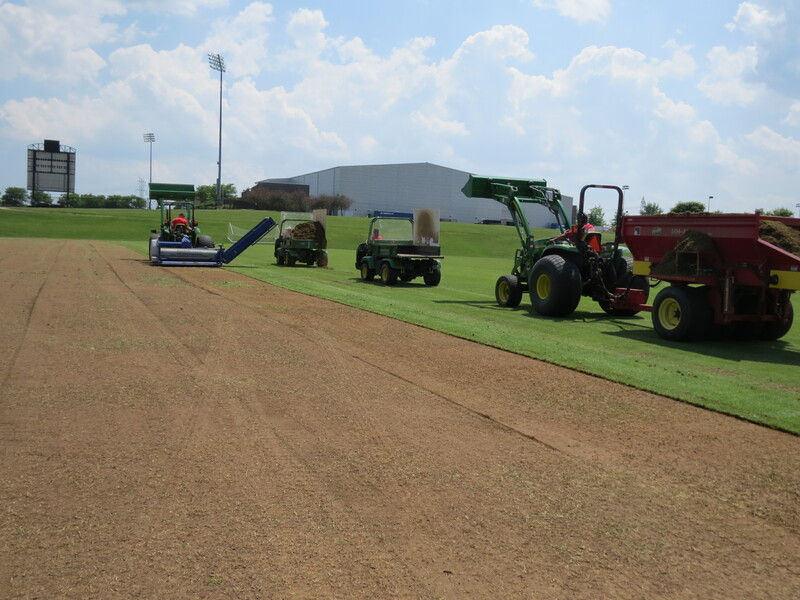 He currently is evaluating HGT Kentucky bluegrass as an overseed option, and also is evaluating performance characteristics of several vareities of Bermudagrass, including Patriot, Latitude 36, NorthBridge and Riveria. He believes looking for better ways to produce healthy, stress-tolerant playing surfaces quickly should be the norm, not the exception. “Why are we still talking about all of these old ideas? We need to get rid of them. If we continue to learn new things, thinking like this will be the norm in five years. 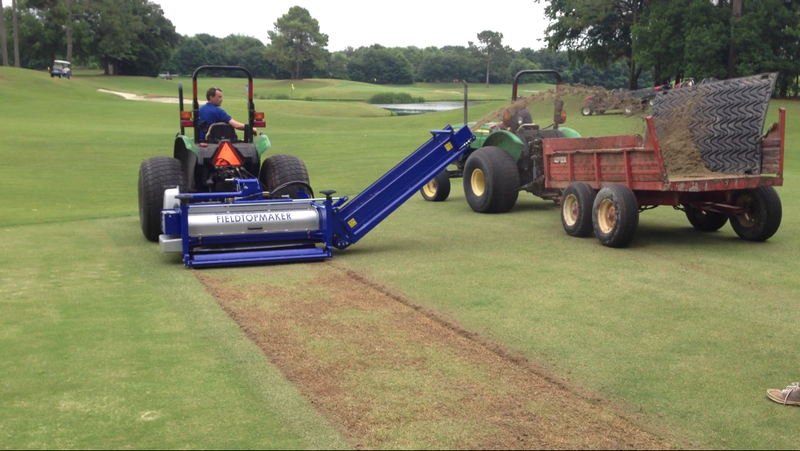 UPDATED: IMPRESSIVE RESULTS: Fraze Mowing Bermudagrass. Mr. Sam Green, Director of Business Development at Aqua Aid, set up the demonstration in North Carolina. Mr. Simon Gumbrill of Campey Turf Care (Manchester, UK) and Mr. Hans DeKort of Imants (Reusel, Netherlands) were both in attendance, along with Mr. Andrew Green from McDonald Design Group to evaluate the potential of the process. The potential for the golf market is very big, for de-thatching/ durability/ and for cleaning up to prepare for overseeding. 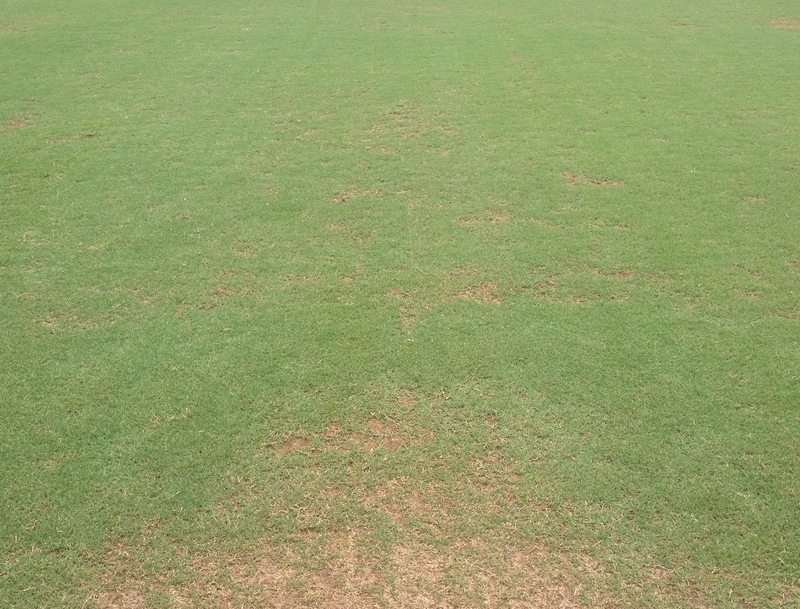 More updates to come on the re-establishment of the bermudagrass!